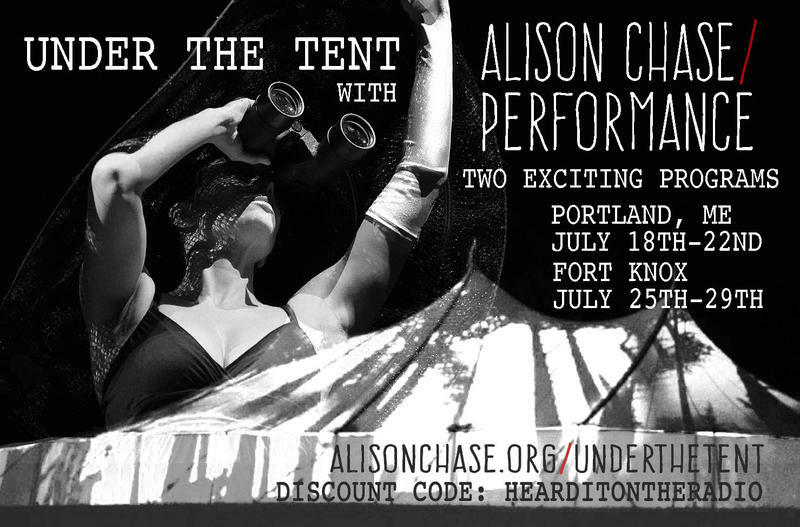 Maine Public is a media sponsor of Alison Chase Performance: Under The Tent, a new performance series from Pilobolus Dance Theater founder Alison Chase. Known for her non-traditional, outside-of-the-box artistic works, choreographer Alison Chase developed the beyond-the-proscenium performance series titled Under the Tent to share her genre-bending work with communities throughout Maine. Alison Chase/Performance will present two programs as part of Under the Tent this July — a family-friendly matinee medley featuring four works: "Monkey and the White Bone Demon," "Femme Noir," "Tsu-ku-tsu" and the premiere of "The Interview," and a full length evening reprise of "No Plan B," Alison Chase/Performance’s 2017 premiere, with new choreography. Performances are July 18 through 22 in Portland and July 25 through 29 at Fort Knox in Prospect. All performances will be held within a tent, which serves as a canvas for No Plan B, and enables the performances to be held rain or shine. For complete details on Alison Chase Performance: Under the Tent, please visit alisonchase.org. Maine Public Members are eligible for 15% off tickets to the EVENING performances. To take advantage of the Maine Public Member Discount, visit alisonchase.org and use code the HEARDITONTHERADIO at check-out. Note that the matinee performances are by suggested donation and the Maine Public Member Discount does not apply.